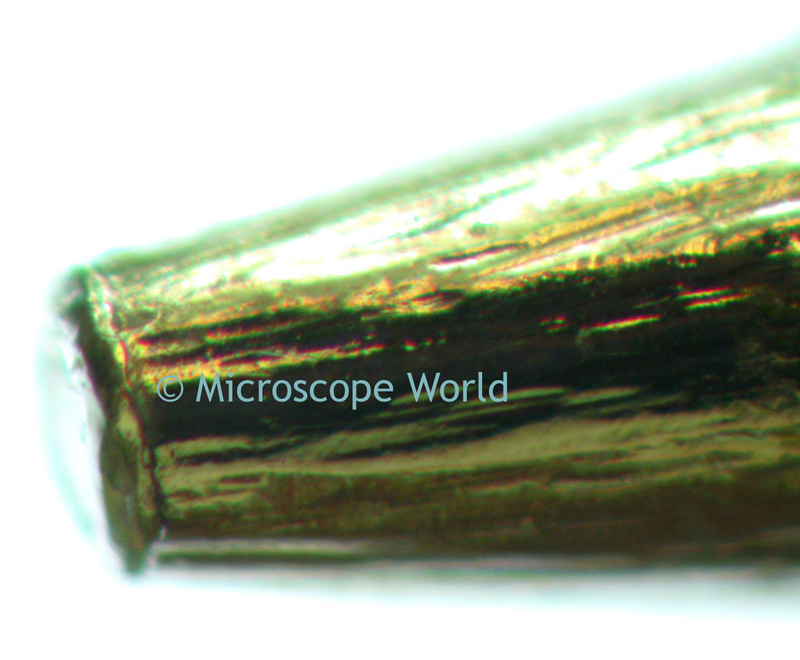 There are a number of different items that are fun to view under at stereo microscope. If you just walk around your house or outside in the yard you can come up with many options for viewing. Microscope World most recently had a safety pin handy, so this was thrown under the HSZ6-TBL stereo microscope in order to check out the microscope's clarity and reflection characteristics. 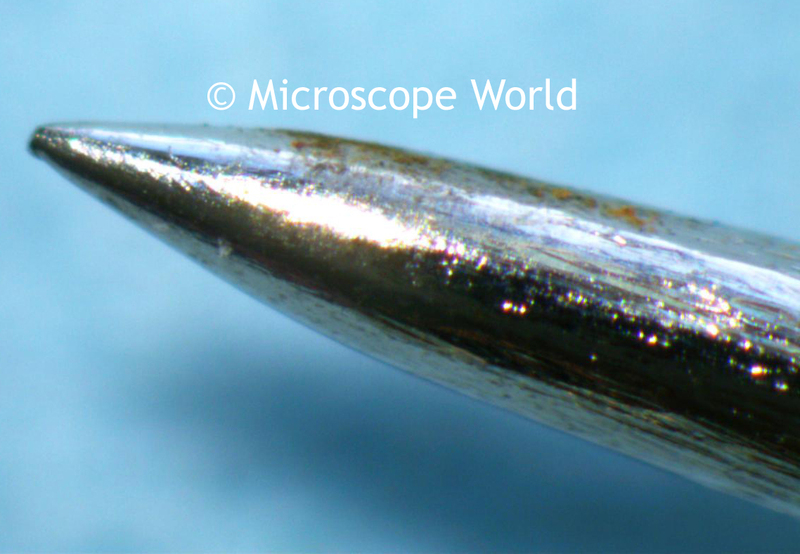 (Often metal objects will reflect light differently under the microscope depending on the type of light being used). 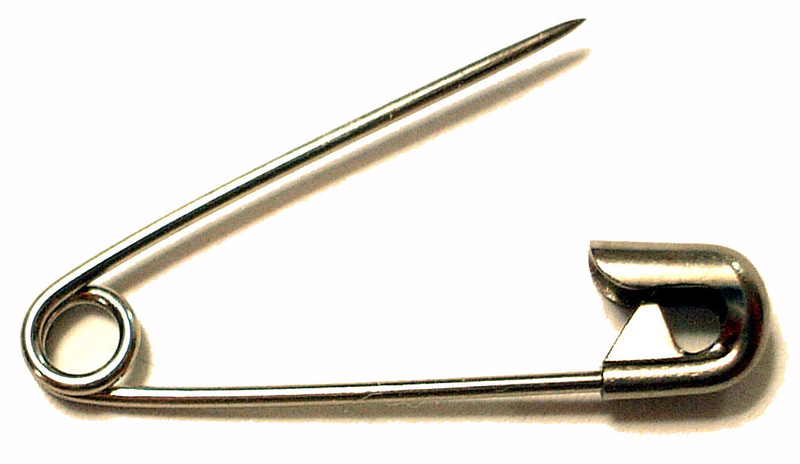 Tip of the safety pin at 40x magnification. 80x magnification. Images captured with the DCM2.1 Microscope Camera.